Industry consolidation prompts medical offi ce development. Mergers among healthcare companies and providers has been a driving force behind changes in the industry and how physicians interact with patients. Emerging technologies and a shift in the care delivery model are spilling over into the development of medical offices. 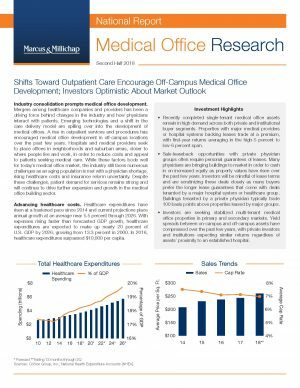 A rise in outpatient services and procedures has encouraged medical offi ce development in off-campus locations over the past few years. Hospitals and medical providers seek to place offi ces in neighborhoods and suburban areas, closer to where people live and work, in order to reduce costs and appeal to patients seeking medical care. While these factors bode well for today’s medical offi ce market, the industry still faces numerous challenges as an aging population is met with a physician shortage, rising healthcare costs and insurance reform uncertainty. 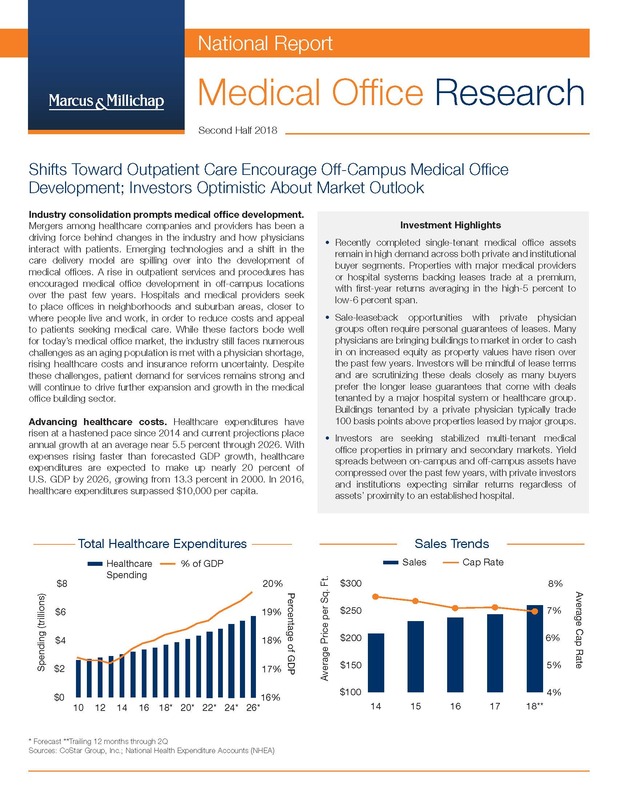 Despite these challenges, patient demand for services remains strong and will continue to drive further expansion and growth in the medical office building sector.